When it comes to desserts I generally don't like sweet desserts. But recently I was at my local deli and I was having a craving for something sweet and I noticed a small box of salted chocolate caramel slice, so I bought one. It is actually very rare that I buy store bought cakes as I am more often than not disappointed by my purchase. But this caramel slice I bought was amazing and why, because of the salt. 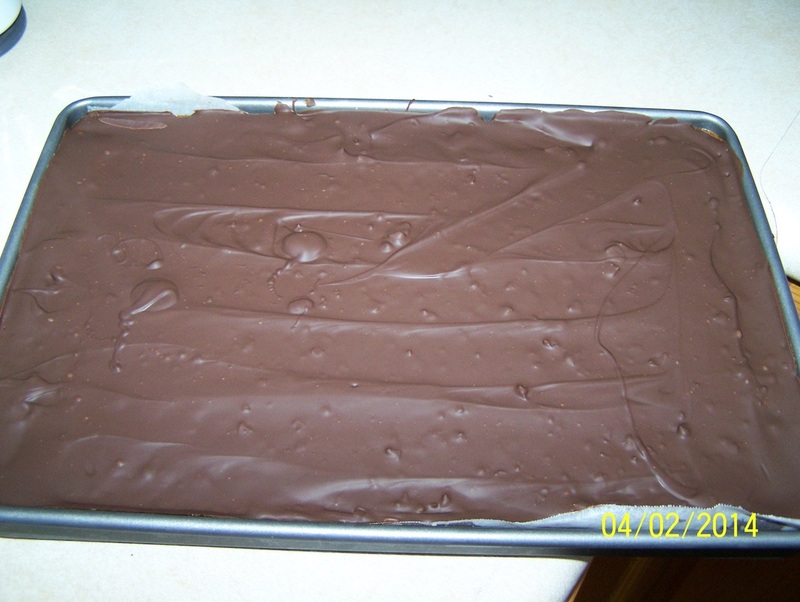 I had previously tried to make a caramel slice, but I never got the caramel right, usually the caramel did not set. So with my new found excitement to try it again, I went on a hunt for a recipe for the salted version. I couldn't actually find one that I wanted to make. So I decided to make a Donna Hay version of the normal caramel slice and I would add some flaked salt. 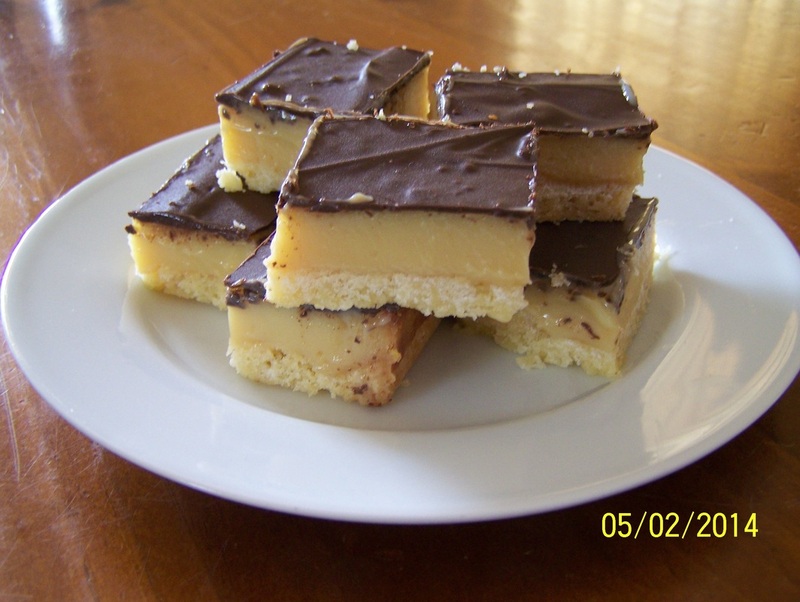 The first one I made was just not salty enough, the second one was, so here is the recipe that is still sweet as you would expect a caramel slice to be, but now with the salt it is truly amazing. This recipe is also the easiest caramel slice I've ever made, so simple honestly, my 12 year old daughter could throw it together unassisted. With regards to the salt, use flakes of salt as they don't melt and it helps with the texture in every bite. And with the caramel when you put it to bake, don't take it out of the oven until the entire surface has dots of cooked caramel on top, if you have patches of uncooked caramel, when slicing the slice collapses as the caramel has not set. Preheat oven to 180C. Grease and line with baking paper a 20cm x 30cm baking tin. Make sure the baking paper comes up the sides, this helps when slicing. In a medium sized mixing bowl place the flour, almond meal, caster sugar and butter. Stir the mix together until well combined. Pour the mixture into your prepared tin. Using your hands press the mixture evenly into the tin. Bake for 15 minutes or until golden. Allow to cool, while you make the filling. To make the filling in a medium sized saucepan place the golden syrup, butter and the sweetened condensed milk. Over low heat, stir this for 6-8 minutes or until thickened slightly. Pour over the base and bake for 20 minutes or until golden dots have covered the entire surface. Allow to cool for 30 minutes. To make the topping: place the chocolate and oil in a small heatproof bowl. Place the bowl over a saucepan of simmering water, make sure the bowl does not touch the water. Stir until the chocolate has melted. Spread the chocolate mixture over the salted caramel, spread it around to cover the whole surface. Refrigerate for 6 hours or until set. I like to leave it in the refrigerator overnight to set.